Concordia’s cross-country team turned in a solid effort in the 33rd edition of La Course et Marche Populaires de Lasalle on Sunday afternoon. The race was highlighted by a victory by Dominique Roy in the 5K race and a third-place finish by Ryan-Noel Hodge in the 10K. 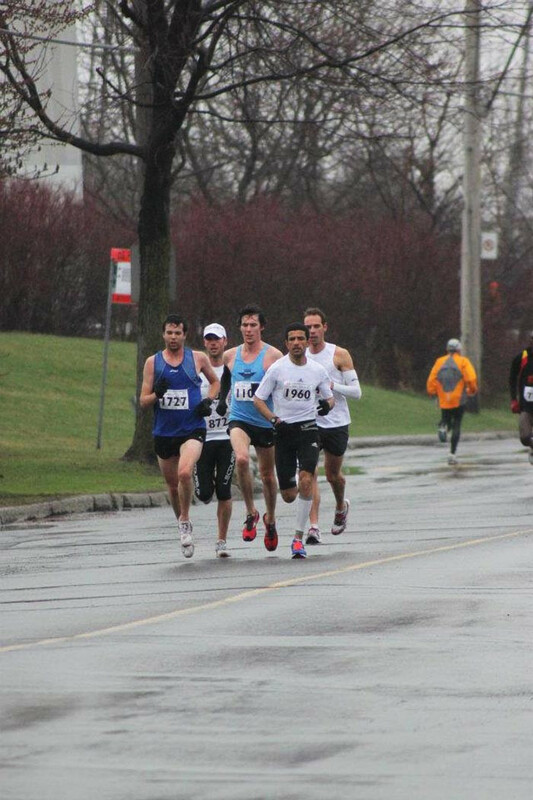 The race, which was organized by Les Kilomaîtres de LaSalle, began at the Pearson Adult Center at the corner George St. and Raymond St. in LaSalle and offered one of the first real opportunities for Montreal’s top runners to get a competitive road race in before the running season begins in May. Head coach John Lofranco was pleased with his group’s overall effort, especially considering that this was the first race coming off of the winter training season. “This is a good race to see where everyone is at physically as we head towards the start of the season,” said Lofranco. Lofranco was happy with the results and noted that, on average, every runner beat their personal best time by at least 30 seconds.